Here is a special treat for all Spartans! 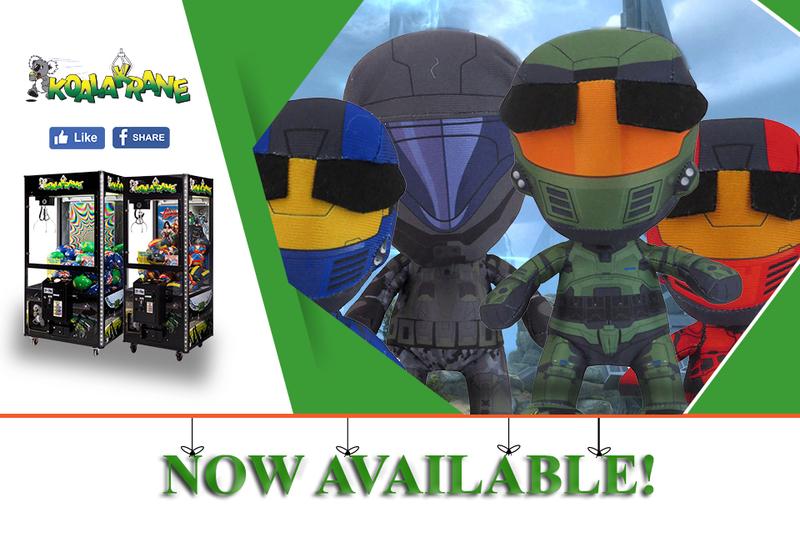 Halo plush toys are the newest toy crane prizes you can win in your nearest Koalakrane claw machines. Based on the widely popular videogame franchise, Halo has gathered a huge following over the years, turning into a comprehensive franchise that’s filled with rich history and literature! Don’t miss out on your chance to win your favourite Halo characters when you beat the Koalakrane Claw! Our latest skilltester toy prizes include four characters from the intense videogame: August-099, Douglas-042, Jerome-092, and Romeo-ODST.